Want both hands free to carry your beautiful cherub? Introducing the uber stylish Susanna Back Pack Nappy Bag, making carrying all the baby gear (and the baby) a whole lot easier! Impressed by the stellar line up of luxurious nappy bags Il Tutto continually offer, we adore hearing there’s a new nappy bag joining the ranks – a back pack named Susanna, and boy is she sleek. 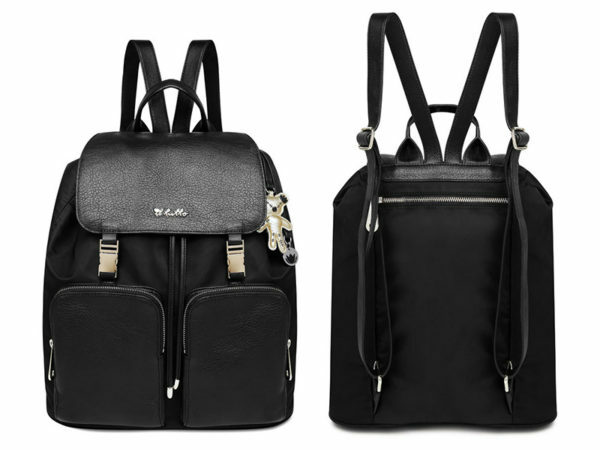 Susanna, a high grade polyester bucket style back pack with double front zip pockets, adjustable straps, handle and top flap made from sumptuous nappa leather. Polished gold hardware finishes the look perfectly and let’s not forgot that signature Il Tutto collectable Monster Teddy charm. 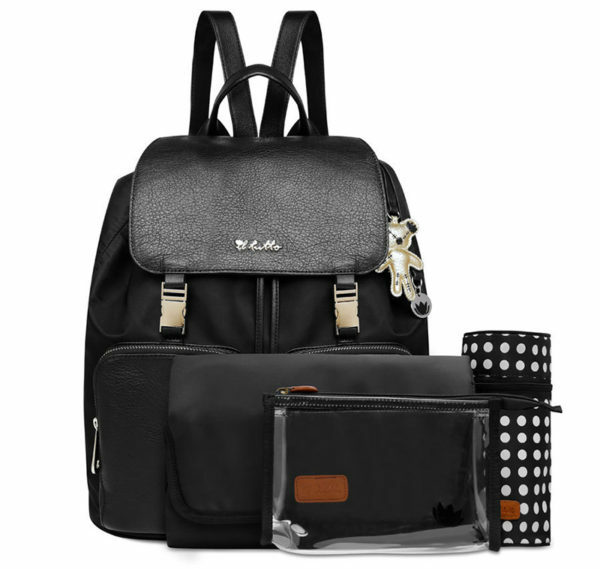 In true Il Tutto style, the Susanna back pack includes plenty of internal pockets, a zip out washable polka dot lining, insulated bottle holder, padded change mat and clear zip pocket bag – it’s all you need to be on your way, stylishly! 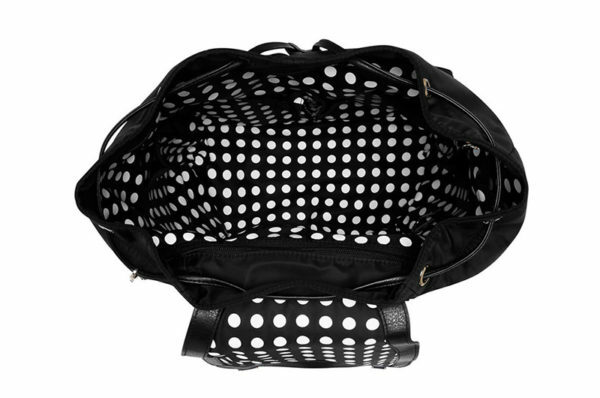 The Susanna Back Pack Nappy Bag is priced $399, available direct from Il Tutto.